Coyotes have been in the City of Wyoming and the State of Ohio for many years and have rarely caused harm. Coyotes are more visible in the spring and fall, and appear more often at dawn and at dusk. They are generally shy and cautious and pose little danger for humans. They are unlikely to attack unless provoked, or while protecting their den or cubs. There have been very few incidents involving aggressive coyotes in Wyoming. There is increased activity during the mating season, January–February. They can also become more aggressive in the April-May timeframe, when adult coyotes are protecting their young. 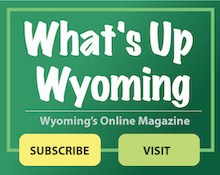 Wyoming Police Department at 513-821-0141. Coyotes are common throughout Ohio in both rural and urban settings, including Wyoming. While people and wildlife can peacefully coexist, sometimes it can be a nuisance and conflict can arise. There are simple ways to help minimize the problems with coyotes. Coyotes are grayish brown with white fur around the neck area and resemble small German Shepherds. Their legs, heads and feet are reddish brown. Coyotes range from 1 ½ to 2 feet long, and from 20 to 50 pounds, on average. They are more active during the spring and fall months. Both parents hunt and feed their young. Coyotes are known for their “howl” which is a distinctive sound. Coyotes are nocturnal and are more active during the night and early morning hours. They typically live in secluded burrows or dens. A coyote’s territory can be as much as 12 miles in diameter around the den. They do not run in packs, although they live with a family social unit that can include up to about 6 animals. Coyotes are opportunistic eaters and eat both meat and plants, as well as garbage. Their normal diet is mostly rodents, rabbits and carrion/deer. They often prey on wounded or dying animals. Coyotes are usually shy and afraid of humans and avoid people whenever possible. They are highly unlikely to attack a person, unless provoked. If you encounter a coyote, do not run from or turn your back on the animal. They are usually frightened by aggressive gestures and loud noises. Never feed or attempt to tame a coyote. These attempts only serve to make the coyote more habituated to the presence of humans and less fearful. Discourage coyotes by removing all foods sources that would attract the animal to your yard. Never leave pet food, water, food containers, or garbage outside, and clean up around backyard grills. Don’t put garbage out until the morning of your scheduled pickup. Keep bird feeders from overflowing and fence in vegetable gardens. Pick up fruits or berries that fall from trees in your yard. Close off crawl spaces under porches, decks and sheds. Install outdoor lighting triggered by motion detectors. Loud noises also scare away coyotes. Clear bushes and dense weeds where coyotes may find cover or decide to create a den. Keep small dogs and cats inside or in a completely fenced in area, particular at night when they are most active. Walk your dog on a leash and do not leave your dog unsupervised. Trim and clear away ground level shrubbery or brush that provides cover for coyotes.